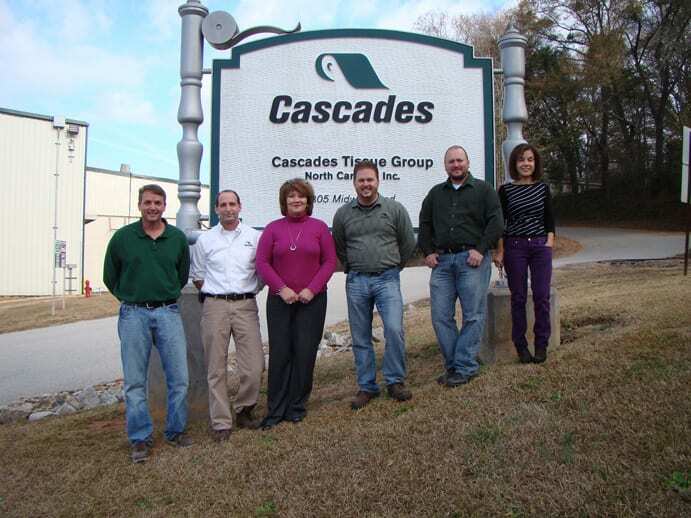 Eric Taylor is the mill manager at Cascades Tissue Group’s Rockingham, North Carolina site. “I start the day at 6:30am with a review of email and machine run data. The focus is always to stay current with the health of the operation such that when problems do arise, and they always will from time-to-time, they are recognised, prioritised and addressed while they are still small. “After understanding the current situation and addressing or responding to anything emergent, it is time for my first cup of coffee. “Arriving at work between 7:30 and 8:00am the focus is to deal with issues from overnight more completely as well as any lengthy email correspondence. A tour of the plant is something to be done as much as possible. My preference is before the 9:00am operations meeting. There is no substitute for a tour to know the fact and the flavour of the operation. Seeing the equipment and talking with the employees help to keep everyone and everything connected on the same page. “At 9:00am we hold the daily operations meeting with all the department managers. The meeting serves to discuss any safety issues, review the performance of the day prior and the focus of the current day. With so much information available on the history of the operation, the past performance is well known to all. The current situation and plan is the most important part of the communication. That it takes place face -to-face and keeps all on the same page and on the same team. If there are issues requiring follow-up, they are either dealt with immediately or scheduled at that moment for a time when the proper resources can be available. “The rest of the day typically consist of conference calls, meetings, email review and preparation work on future plans and presentations. Lunch is something usually worked through as the frequency of interruptions is lowest. “My fortune is to work for a good company and with good people. Years ago I might have said I ran my mill. That changed years ago. Run, no – manage, yes. “The culture of my mill has developed over the 11 years I have been here. Communication is open and transparent. My people work well together as one team with one goal. Years ago my focus was on many of the small, technical details in addition to the larger business decisions. A reputation was formed that my employees referred to as the “20 questions”. As opportunities (otherwise known as problems) would come up, I might ask as many as 20 questions to understand completely the scope of the issue, the action that had been taken, options remaining available, what had not been done yet, and who had ownership. Now, those questions are all asked and answered by my people. They own the safety, production, cost and quality of the operation with a level of intensity as great as I ever had. Their level of intensity and focus to catch problems while small and continuously improve their area of responsibility has made our operation a success. My focus now is keeping and continuing to enhance the workplace culture. They manage and own the details now. “As the day closes, more review of the production and face-to-face exit reports from the department managers. The day at work closes between 5:30 and 7:00pm depending upon what needs to be done. Checks of email and performance go right up to the point of sleep around midnight. Department managers at the Rockingham, North Carolina site – (L-r) Adam Boulware, Eric Taylor, Deborah Currie, Mickey Lee, Jake Elder and Marie Slilaty. Share the post "One goal – one team"